← Being a Prepper and Leading a Normal Life is Not Always Easy. Good habits and routines can determine your reactions in an emergency. Years ago when I was on the fire department, I responded to a fire in an elementary school. Now this school was in session and this was a fairly large fire. The school had to be completely evacuated. To this day, I am amazed at how the children and their teachers reacted. The evacuation went perfectly, no confusion or panic. A large group of adults would not have done as well. The reason it went well was practice and knowing how to respond. The children and teachers knew what to do and did what they had been taught. Now what about us, do we have good habits and routines and practice what to do in an emergency. For example, do you have fire extinguishers in your home? Can you tell me right now, where they are without stopping to think about it. Have you ever used an extinguisher and if not why not? My wife likes to rearrange things; at first, she kept moving the fire extinguishers. After it was explained to her, she now leaves them in place. Do you know right now, where the flashlights are in your home? Do you look to see who is at the door before you open it? Is it your habit to lock the exterior doors? Before you go to bed at night, do you make a security check? If not these are good habits you may want to develop. Getting into a habit on where you leave things, lets you find things quickly in the dark, whether it is a flashlight, fire extinguisher or weapon. Good or bad habits free up our brains to handle more complicated issues. You don’t have to stop and analyse the simple act of tying your boots or turning a light switch on. These are things that you do everyday with out conscious thought. 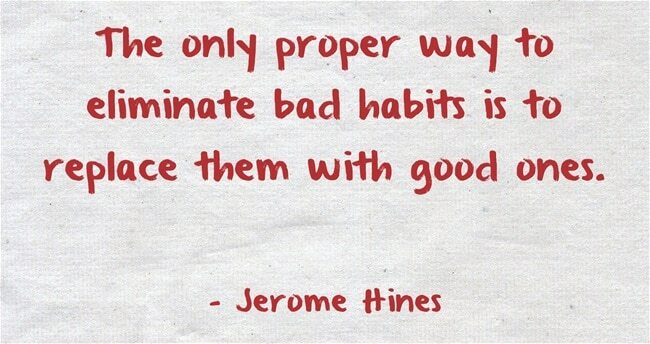 Practice helps you build good habits and get rid of the bad ones. Being woke from a sound sleep and reacting quickly to an emergency is often the result of training, practice and habits. Have someone wake you from a sound sleep and see how you react. Can you find your flashlight, or weapons quickly. The military, police and fire departments all train regularly on how to respond to different scenarios. You need to decide now how you will respond to various situations. I know that it is not always possible to train like the government, but even running through a scenario in your mind helps. Visualizing situations like how would you react if someone started to kick in your front door will let you respond quickly and with confidence in a real situation. When you go to start your car, do you think about where you are going and what you should take with you in case of a problem. One caution about routines like nighttime security checks, when you have a number of things to check, you should vary the order in which you check them. 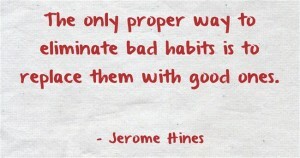 Blindly following the same exact routine everyday can become a bad habit. The bottom line is to develop good habits and routines that you follow on a daily basis and practice your responses to the best of your abilities. What Type of Working Dog do you Need? This entry was posted in security, self defense, survival and tagged good habits and routines. Bookmark the permalink.